Chicago: Reilly & Lee Company , 1932. First printing. Hardcover. Very Good +/no dust jacket. John R. Neill. This is the first edition and first issue of Ruth Plumly Thompson The Purple Prince of Oz book. 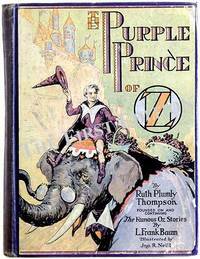 The Purple Prince of Oz has the original purple binding with colour illustrated label pasted to the front board featuring the Prince doffing his hat whilst riding an elephant. The binding is in Very Good condition being complete with wear, fading and knocks to the top and bottom of the spine, rubbing to the paper label on the front board, a crease to the front board, corner knocks, and knocks to the back board. The boards are complete and are still very attractive. The front endpapers and rear endpapers to the back of the book have characters from the book in black against a white background. 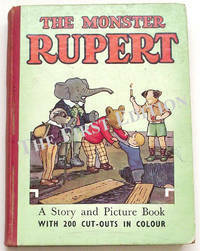 There are 281 numbered pages, all edges tinted yellow, and complete with 12 full page colour plates. 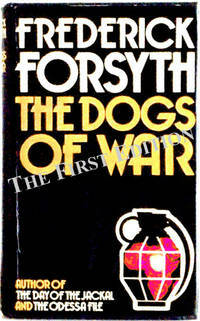 The pages are in overall Very Good condition with light foxing throughout.